Welcome to the Oil Painting of Bob. Isn’t he gorgeous! Nicholas traditionally hand painted Bob at 16 x 12 inches. The painting is an on Italian linen canvas. It was painted for a lovely client here in Wales called Sharon. 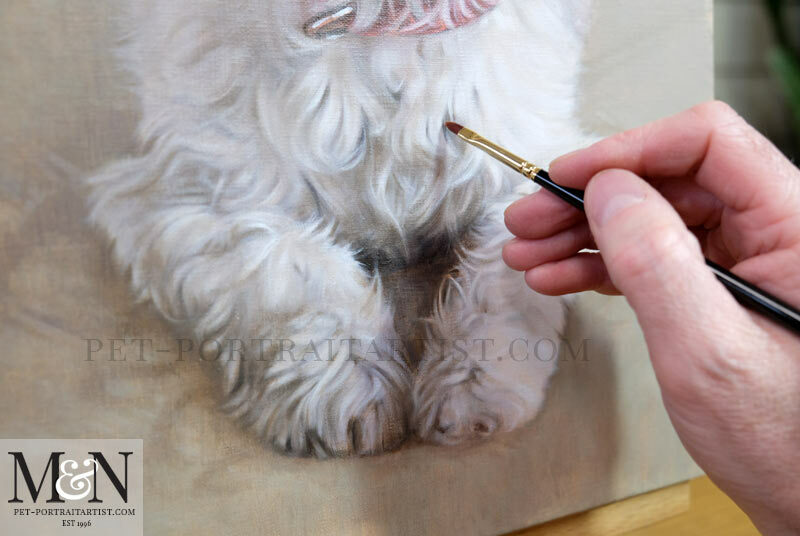 Sadly Bob is no longer with us, so Sharon wanted to commemorate his life with an oil painting. We received a batch of lovely photos from Sharon. Although there wasn’t one perfect portrait for a portrait there were many that we could work with. Because the photos had all been taken from the same eye level, we could join two together. Consequently we used a head photo with Bob’s alert shiny eyes along with a laying down pose. 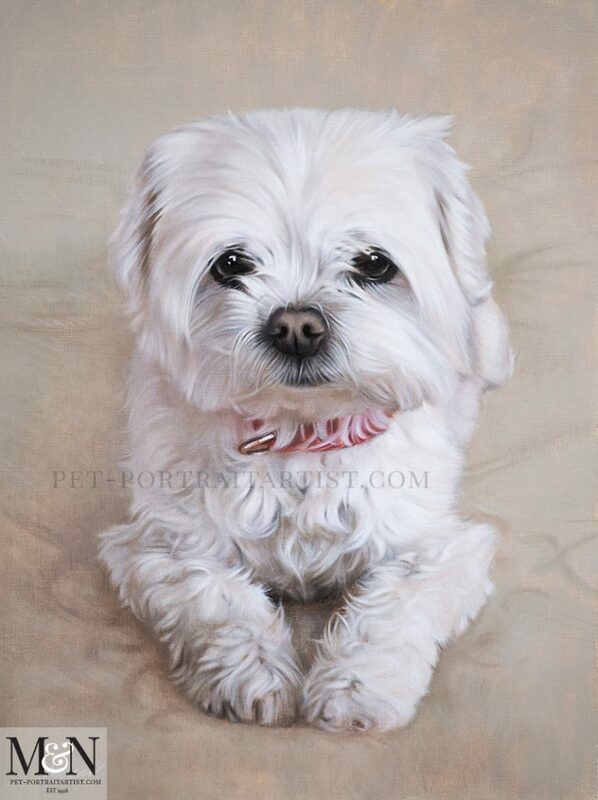 The combination was a perfect composition for the portrait fitting well on the 16 x 12 canvas. We have added a testimonial from Sharon below. 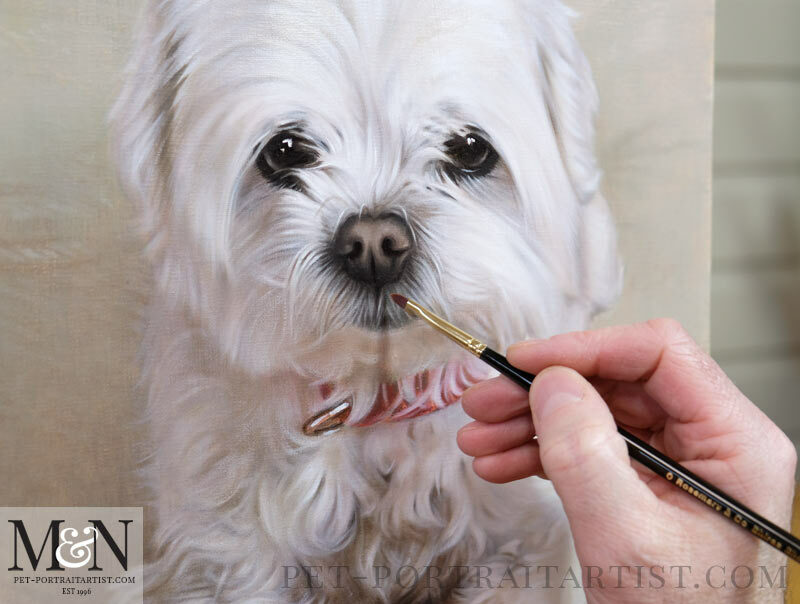 We are looking forward to working with her again soon for a companion portrait for her other dog too. Both Nicholas and myself hope you like the painting of Bob as much as we do! 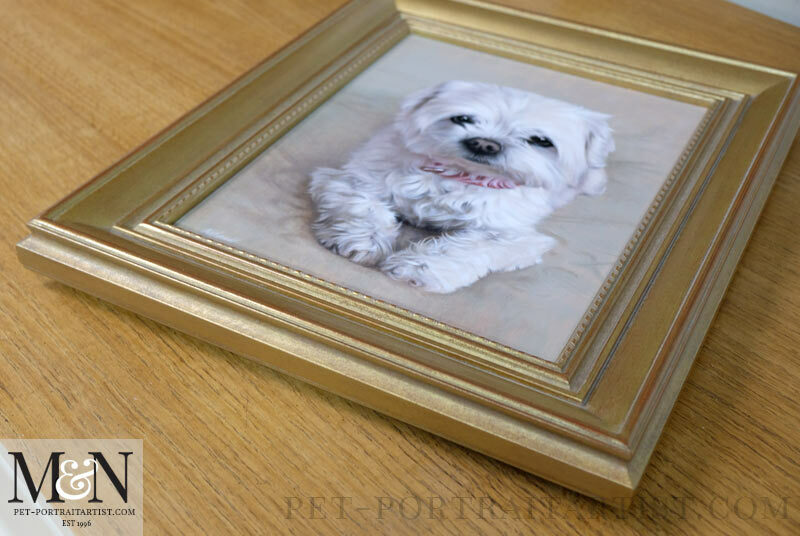 Also Sharon asked our framers to frame Bob’s portrait. She chose the Highgate frame which is one of our most popular frames. 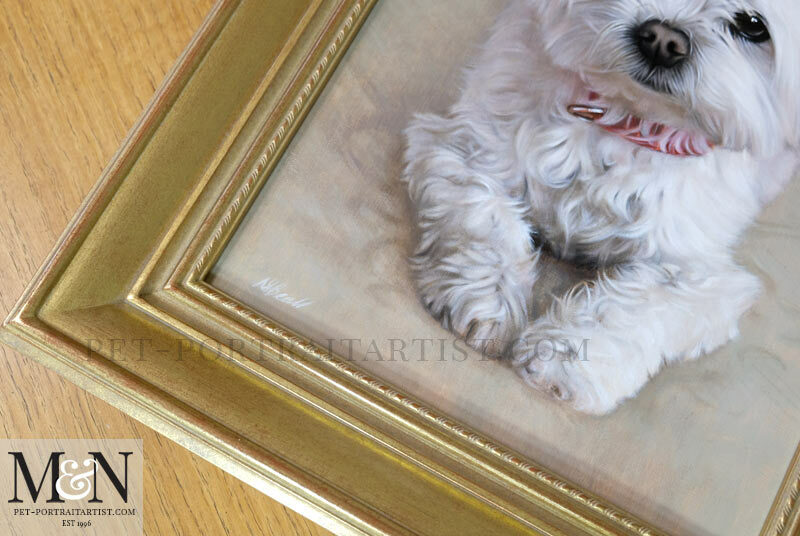 Our framers handcraft and hand finish the frames so are absolutely stunning. I have added photos of the portrait framed below. If you visit our framing page, you can see a video of the Highgate frame. 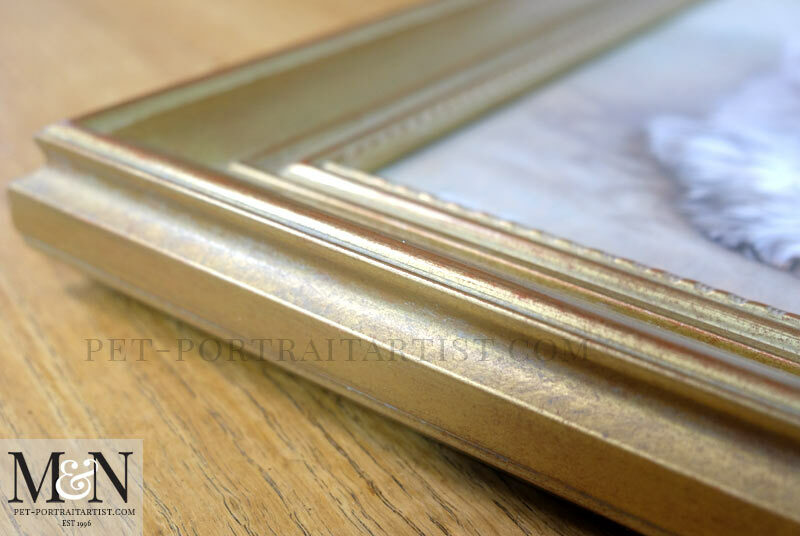 If clients are interested in having the highgate frame for their oil painting, please email us at anytime.